Work for Adobe Character Animator? Learning about Adobe Character Animator? The Ease of use, the adobe Character animate CC is effortless to use, especially when compared to the other leading software build for animation by Adobe, the Adobe Animate CC which can get complicated when coming to big projects. There are many builds in rigs for you to work with and in case you need more, there are tools to design characters, the rigging options are outstanding, easy create puppet pins and animate them. The facial animations are easy here with the software where you can define your mouth, eyes and all with rigging and then use the webcam to capture facial animation and then apply them to the character; it's a time saver cause that animation can take hours of work if you're doing with puppet pins. the cost of the software is way more than the options available in it, and I don't think its worth it unless you buy the whole adobe creative cloud suite. the animation options are limited too when compared with animate CC. Adobe Character Animate CC is a software designed by Adobe corp for easily create character animations. "Great program, still some work to do"
I love the facial tracking to control the facial expressions of your characters. It's extremely convenient and adds so much life to the characters as well! The workflow is a bit clunky and it doesn't feel like an Adobe program. This isn't a huge problem, but for a program that works with multiple other Adobe programs like Photoshop and AfterEffects, you'd think the way it works would be similar in simplicity and layout to other Adobe software but this just isn't the case. Definitely be sure to take advantage of all the tutorial videos that Adobe puts out and new feature videos. They are extremely helpful in getting started and learning what you can do with this program. For me, this program allows me to add life to our team's mascot in a lot of ways that we never really thought of before. For example, our first use of Character Animator was to promote our 50-50 raffle. "Powerful Character Animator all on your desktop!" 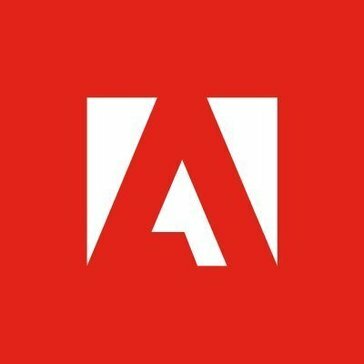 Adobe continues to push the edge with all of the creative software components. As I've recently began working more with character animations for our marketing team, I've been very impressed with the Adobe Character Animator CC program. The improved 'behavior management' allows for workflows to give bring your characters to life. Also, as with new updates of other Adobe CC programs, the 'keyboard' shortcut editor helps to quickly access the necessary tools for efficient character design. Each of Adobe's programs have powerful tools and applications that are geared to those with graphic design backgrounds. From someone who is 'self-taught', there are tutorials available online, but it would be nice if there was more assistance included in each software program. Without experience, it can take several months to just have a basic understanding of this program before being able to create any projects. There is quite a bit of competition when it comes to Animation software. For mid-size companies or non-profits, I encourage you to take a look at Adobe's Character Animator software. Their powerful tools, consistent updates, various workspaces, in-app puppet templates, and dedicated customer service will surely be great tools to take your creative projects to the next level! This might also lead you to try out some of their other great programs in the Adobe Creative Cloud!! During the last several years, I've been able learn more about individual programs in Adobe's Creative Cloud. Each of these has allowed for us to add new dimensions and design to our marketing and promotional materials we utilize for a small non-profit. The Character Animator has allowed us to create powerful, impactful designs which attract and engage our donors and focuses their attention on specific campaigns. Adobe's software allow us to stand out in a crowded space!! the pricing isn't cheap for a regular designer or creative artist and to work well you need all the creative cloud suite which costs a hand and a leg. this is a great tool if you're looking for sleek animations as well as for building mobile applications and such. but if you're buying it just for creating one or two projects then the pricing doesn't worth it cause there are several cheap alternatives available out there. anyways it's up to you. there is always free trial available for you to try from Adobe so take that opportunity to try the product before purchasing. "Ones the betters software to animate my own characters"
It offers the best features to animate your characters in the shortest possible time. You can use it without After Effects and use tools to automatically create walk and lip sync cycles. It allows you to control animated characters with a webcam and the coolest thing is that you can simulate a live animated figure that mimics your facial expressions and movements of the head, eyes and lips. I think it can improve some details of performance and usability, like puppets since they are a bit tedious when it comes to setting them up, for someone who is not familiar with adobe software it will be difficult to start. Adobe is closer to a full-featured animation package. I think it is a great product and can become the best, just taking care of details of resources and greater compatibility with other software of the same category. "An interactive way to animate your designed characters"
This is by far the best adobe application we have used so far! It has everything you'd want to animate the characters we design in Illustrator. It has a great motion capture system integrated right into the application that works through our webcam so it's really easy for us to make how-to videos using our real mocap data which then translates to a realism of sorts in the character on the screen. We've never been more impressed by an application and nothing so far can compare to what this can do for us. So great job adobe team! You'd be out of your mind if you don't like this app, this is the best one so far! We recommend this to artists who do lives on twitch or youtube, try this new way to interact with your audience and you'll never go back! This helps us to motion capture and use it on the character that we then use to make videos about how-to use to our products. It's been really fun! I love it's simplicity! If you're a pro at Photoshop, this will be helpful for you. Make sure to watch the Tutorials though or you might get stumped. They also come with templates so in case you're stuck and unsure what to do, they're helpful to look at. Don't expect Disney quality animation at the beginning, but know this is definitely a dumb-down version of animation. Easy for people who are wanting to learn animation, and possibly build their own YouTube channel. Arms are a little wonky when working with them (especially the hands). Have patience, once you get the hang of it it becomes easier. :) I'm sure in two years or so the program will be even better with more added effects. Having to look through video tutorials is greatly beneficial, and helps me learn more about layer properties. "Simple, easy, animation for any skill level"
This product uses facial recognition to animate the characters face which helps captivate the audience and engage in an informative video. You can control multiple layers for different facial features such as eyes, nose, eyebrows, mouth etc. The facial recognition will animate the character based on your expressed emotion and physical movement as well as sound. It records your voice or you can do voice over later. There are many layers to the animation so it may be difficult for first time users but practice will help. Definitely worth the cost if you plan to create animation. It is the simplest, easiest way to create 2D animated videos. You can create instructional / informative videos that explain things without filming real people yet you can engage the audience just as much or more. "Making your Characters Come to Life"
Character Animator is the fruit of Adobe's interest in 3d and animations for web and digital applications. It takes some learning but the process is sequential and there are many resources to produce animations. The difficulty of making a puppet on your own and to enable attributes. They may go hand-in-hand, but are still sticking points. Film yourself to learn how bodies move. Buy it as part of Creative Cloud and it is not expensive. and giving it a fresh look. Adobe Character Animator initially has a small learning curve and simple to use for basic animations. The interface design and appearance is synonymous with Adobe's other products. Not much to dislike if you enjoy creating and trying out new things. It has a degree of complexity as you begin to create more detailed animations. At the moment we are not utilizing Adobe Character Animator for any specific business problems but it could come in handy for business lines targeting younger demographic. "you can do almost the same with after effects"
it's more focus on 2d character animation, you have especific tools, and it's really good to make a long videos where you need some character animation. in fact you can do almost the same in Adobe After Effects. If you are doing a serie or something like that it's your software, if not, use after effects. Sometimes hard to import characters with the right settings. Animate a pre-built character for training videos. "A tool that simplify everything"
Rigging characters is easy and they move super well. The timeline could be a little easier to use. * We monitor all Adobe Character Animator reviews to prevent fraudulent reviews and keep review quality high. We do not post reviews by company employees or direct competitors. Validated reviews require the user to submit a screenshot of the product containing their user ID, in order to verify a user is an actual user of the product. Hi there! Are you looking to implement a solution like Adobe Character Animator?